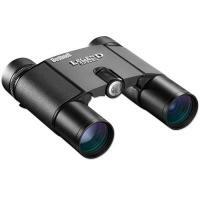 Bushnell 190125 10x25 Legend Ultra HD Binoculars 190125 FREE SHIPPING! Weighing in at just 8.1oz, these pocket-sized binoculars are highly portable and concealable. Their RainGuard HD water-repellent lens coating and nitrogen-purged interior keep them waterproof and fog-free in even the harshest conditions. Extra-low Dispersion Prime Glass and BaK-4 prisms produce excellent image quality and clarity throughout the entire field of view, making them perfect for tracking moving or distant targets. Ultra Wide-Band coating on each individual lens guarantees great light transmission and color fidelity. ©2002-2019 CopsPlus.com: Bushnell 190125 10x25 Legend Ultra HD Binoculars 190125 FREE SHIPPING!